We provide the direction and support needed to help your child in the placement in a boarding school. These schools are where students live on campus and have supervision by staff and dorm parents. Traditional boarding schools have admission requirements and vary in age, grade level and gender. We offer to help parents with children with learning difference. This might include: ADD or ADHD. Boarding schools for students with learning differences and funding a school really depends on the needs of the student. Therefore we need to identify those needs before making a recomendation. We help families of landed immigrants looking at private and some public school placement. Many families relocating to this country, need our direction and support. We help find the best learning environment for your child based on his/her native languages. An environment where your child is safe and protected and secure. We provide placement in day schools. These schools are generally on campus either at a day school or perhaps a boarding school but they are private schools not public schools. Our consultant will work with your family in these setting with your child. Generally these schools range from K-12. Some students may need a residential program. This type of program provides supervision and support and may be a closed or locked unit. There are exceptions, but our placement does not include a state-funded or an insurance-based program in this type of placement setting. We will explain all of the details of this placement and the differences and similarities to therapeutic boarding schools. Many of our residential programs include treatment for eating disorders or sexual abuse issues, as well as developmental disabilities or those who have physical limitations due to a disability. We work with parents to help them understand the services available in their community as an advocate, helping with IEP's and 504 plans. We will discuss the application for a military boarding school, the admission process and the type of students who might fit well in this setting. We will work with the family to decide if this is the correct setting for your child. Most military boarding schools can lead to a military career, which might include prestigious schools like West Point, the Naval Academy, and the Air Force Academy. We can help the family understand the difference and the possibility for acceptance. Some students may need placement in an intensive treatment program. These might be step-down or step-up programs for these families. Each program depends on the needs of the student. These might include work simplification or supervised programming designed for independence and life skills to help your child cope with an emotional challenge. This might be particularly true for a student who needs supervision and medication management. This may also apply to a student with a serious need for medication monitoring, due to safety issues. Charter schools are becoming an increase in School Choice by the Department of Education. This funding for schools is clearly one where the parents contribute and the Department of Education matches these funds for public education. It has received praise and criticism among the education community. 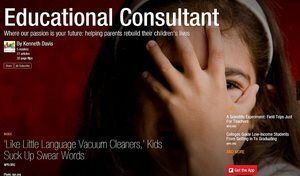 Parents needing our help can have a 30 minute consultation with our consultants to address this challenge with their children. The options families have can range from charter to magnet to independent to private schools but not all charter schools accept funding or payment by the Department of Education for your child. In most cases, parents must pay tuition and depending on the state the decision to offer funding is state by state. Some parents may be looking for a summer boarding school. We work with these parents to locate the best summer boarding school or program. While many parents may confuse summer boarding schools with a camp program, we clarify the difference to help you to determine the best option. Most summer boarding schools have strong academic preparation for college or for boarding school. These programs are very different from summer boarding school. We will discuss college and choices in school placement, including working with parents and the student for admission, addressing pre-college summer programs and the special needs students entering college. What is required for boarding school in testing? Lets make a addition to this area before discussing the SAT. http://www.etpforsuccess.com/? Students entering a private boarding or day school will need testing including the SSAT or IECE. These test are required for entrance to say boardinf school and can be taken through a private tutoring agency or at the school at a scheduled testing time. While testing is required in many settings for students, we do refer our testing to outside sources, such as testing for students for private school admission. We also direct parents to psychological service and therapy after leaving a program. At the college level, the SAT or ACT test dates are predetermined. Testing for a junior boarding school or upper schools vary and we will discuss with parents the type of testing available. Many students in special needs placement need psycho-educational testing along with other types of testing, depending on the students’ individual needs. A gap year program is for a student who might not be ready for college and needs a different experience. In this case, we review our GAP year placement option. Gap year is for achievment oriented students not failing or poor performance students. We direct families to scholarship and tax-credit resources. We also encourage our families to complete the FAFSA for college lending and discuss loan programs to help families with the affordability of going to an independent school or a private college. We also work with struggling teens in crisis. Most of our students apply for some financial aid in a boarding school. However, financial support in a therapeutic school is provided by the parent. While we cannot guarantee scholarships or financial aid, we do help families in this aspect of placement, usually addressing this with the school. We do not offer grants to students. This is an entirely different process and applies to college admission. This does not apply to independent schools or therapeutic schools or programs. We discuss many of our resources in the meeting. We must meet with you to address these various areas. Many times, in the case of special needs students, funding with a school district may apply to attending a program. Even children who come from adopted families can obtain subsidy support. We work with international students and families in school placement in boarding and day schools. We offer the opportunity to discuss the admission process and follow-up during the college years. A placement in school for a student who might need to learn English as a second language (often referred to as an ESL student) and this requirement before entering college. Many of our international students have come to us needing this type of help with basic language or reading and writing remediation. We help these students develop a greater command of the language. We also help parents with the admission process, costs, sponsorship, student visas, and enrollment fees on a case-by-case basis. All US schools require an I-20 visa and a legal passport to enter the country to study. We make sure all of these documents are completed and in compliance with this federal mandate. We also work with the school, either as a domestic or international student from abroad. We are currently working with schools in the UK, Spain, Germany, China and Latin America. 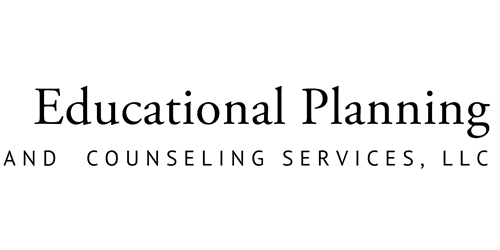 We work directly with the local school district or local education agency to address your student's IEP 504 or manifestation plan with special needs students. In most cases, we will attend an IEP meeting and contact the district or schools who are responsible for the services of the special needs child. We also advocate on behalf of the family, and discuss with the behavioral health agency their responsibility for the transition process to help the family. While there can be no guarantee in many cases, parents must understand this is a long process. The time frame is sometimes beyond the time of the placement. This includes our follow-up and the transition piece after leaving the program. In some cases, we seek legal advice for the families we serve to address their needs. Many times, we will refer a student to a wilderness program before attending school. These programs offer 52 -100 days in the wilderness with clinical and education staff. The ages do vary from children to young adults and the setting might vary in parts of the country or a different state. We work with the staff at these programs, which are clinically more intensive treatments. Many programs are designed to teach life skills and provide therapy support. We work with the entire family in this setting. Wilderness programs have summer and year-round programs designed to help students with leadership and/or social skills. These programs rotate with varied ages and genders to allow students to move from one intervention experience to another. Some programs now have family camp programs, which are added to help the dynamic of the family therapy and others address addictive behavior or challenges. We also work with the field staff keeping parents informed of the child's location, physical health and medical concerns in the program, including working in many instances in family therapy in an outdoor experience. Parents who select a day boarding school can be both a part of a boarding school or separate, depending on the parents' choice. Students attending a day school have a similar experience to public day schools. We provide the direction to these families explaining the day school processes and what to expect. Typically adolescents in a alcohol or drug treatment program are separate from adults. 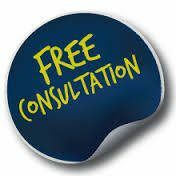 Adolescents are not placed by our consultant in adult programs. It simply does not something we would consider or do in treatment. Some adolescents have a dual diagnosis but this still is separate in our placement decision. Those with a psychiatric and chemical dependency diagnosis would be thoughtfully placed in the right setting. We provide options for payment for our services through our secured and other websites like PayPal® or our online payment options through your banking institution. This allows our clients to receive an invoice for the payment and make payment directly through their choice of Visa, Master Card, American Express, Discover or their own banking institution.